I suppose that it is time for me to let go of the claim that I seldom create sunset imagery. I do, and I enjoy creating and viewing them. 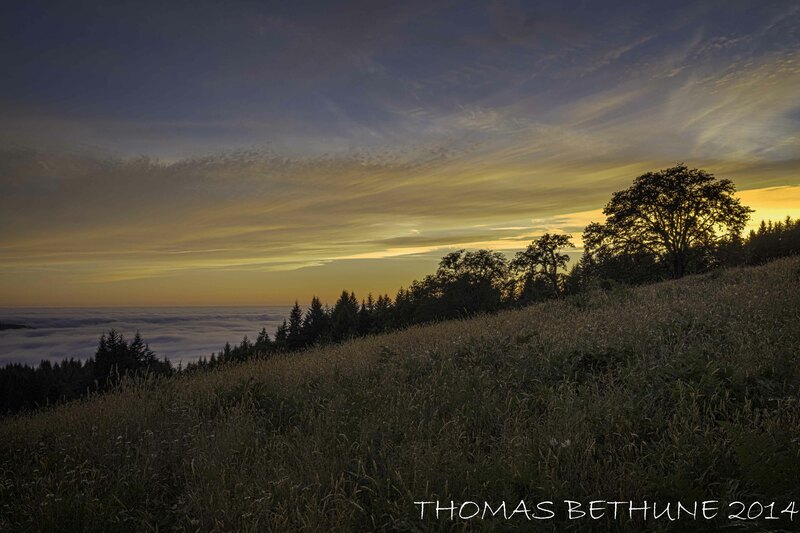 This image is another from the series that I took Saturday evening atop the southwest slope of Snow Camp Mountain in Humboldt County. This location is in the prairie, oak, and fir environment, yet it is only about a dozen miles from the coast. The “sea” of fog in the bottom right is blanketing the redwood forest environment which is at the lower elevations just below. This entry was posted in Uncategorized and tagged fog, humboldt county, oak, prairie, redwood, snow camp, sunset. Bookmark the permalink.